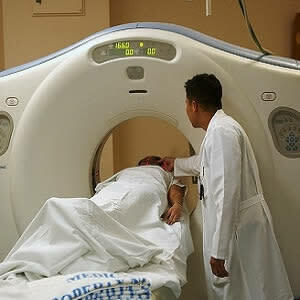 Ionising radiation is widely thought to increase one's risk of getting cancer. However, researchers claim the long-held belief that even low doses of radiation, such as those received in diagnostic imaging, increase cancer risk is based on an inaccurate, 70-year-old hypothesis and leads to unnecessary fear and misdiagnoses. "The underlying intent of lowering future cancer risk, although desirable, goes astray, as the premise is based on the erroneous LNT and the resulting as-low-as-reasonably-achievable (ALARA) principle," asserts Jeffry A. Siegel, PhD, president and CEO of Nuclear Physics Enterprises, Marlton, New Jersey. "The assumption ignores evidence-supported adaptive responses that either repair mutations through enhanced repair enzymes or remove the unrepaired cells by apoptosis [death of cells as part of normal growth] or, most importantly, the immune system." 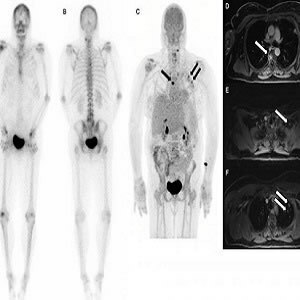 Siegel and colleagues published an article in The Journal of Nuclear Medicine, in which they evaluate evidence refuting the LNT hypothesis and corollary efforts to reduce radiation exposure from computed tomography (CT) and nuclear medicine imaging in accord with the ALARA Principle. The authors assert that exposure to medical imaging radiation not only doesn't increase an adult person's risk of getting cancer, it doesn't increase a child's risk. Children are generally considered to be more vulnerable and, therefore, more sensitive to the effects of radiation than adults. Siegel points out, "...much of the current thinking about the risks of ionising radiation is based on certain interpretations of the Hiroshima/Nagasaki life-span study." The problem is that the study is interpreted incorrectly, Siegel says, noting that Japanese children younger than six at the time of the bombings at the end of World War II and exposed to radiation up to 200 mSv showed no significant difference in adult-onset cancers when compared with a control group. He adds, "Supportively, the French Academy of Sciences reported that these data provide evidence for protective adaptive responses and no valid evidence for harm below 100 mGy." Nuclear medicine and CT radiation doses are low, and Siegel cites studies that show "initial radiation-induced damage is generally repaired or eliminated in a matter of hours by the body's adaptive responses." In addition, older children have a stronger immune system than adults. 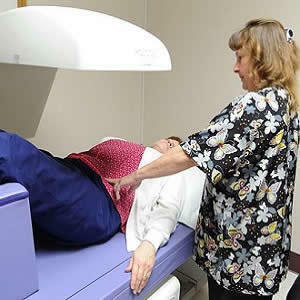 Siegel says, "low-dose radiation has been shown to stimulate the immune system to reduce cancer rates." He emphasises the importance of diagnostic quality and says, "Accurate information about low-dose radiation is the only way to undo fear. ...Radiophobia is detrimental to patients and parents, induces stress and leads to suboptimal image quality or avoidance of imaging, thus increasing misdiagnoses and consequent harm while offering no compensating benefits."